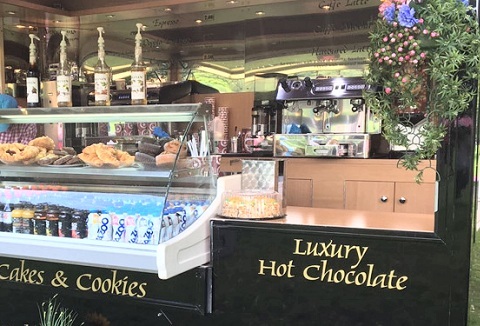 Our confectionary sweets and treats mobile catering units are a fantastic way to keep the children entertained. Fully trained members of staff selling candy dummies, rock, ice lollies, ice cream and many other favourites. All the relevant certificates. 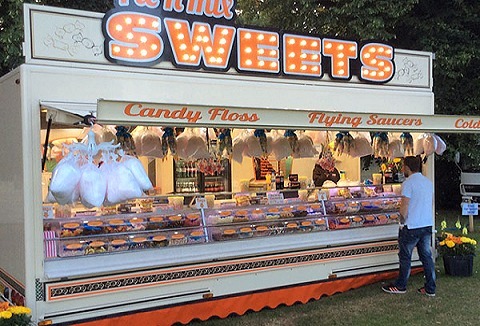 We are a family business selling a wide selection of confectionery from pick 'n' mix sweets, fudge, candy floss and toffee apples throughout the UK. Our uniformed staff are fully trained and all of our units conform to all health and safety regulations. 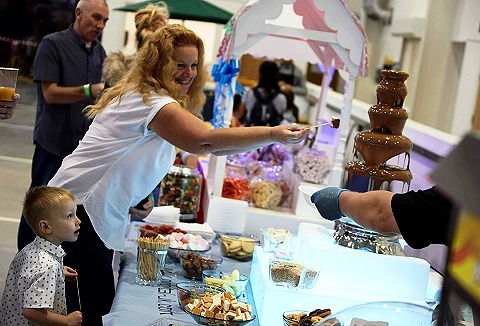 Whatever the event or special occasion we have the right mobile sweet stall or candy buffet creation for you! Take a trip down sweet memory lane with our range of retro and traditional sweets, including tuck shop treats, sweet jars, chocolates and fudge. 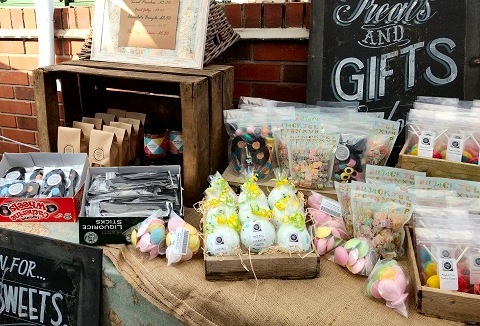 We create bespoke high end candy buffets for weddings, corporate and family events using traditional quirky props such as weighing scales, baskets & jars also by matching colour schemes to create inventive themes. 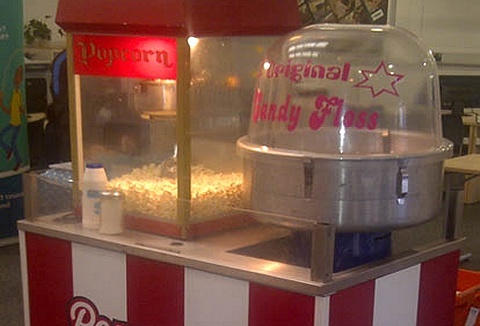 Available candyfloss & popcorn machines. 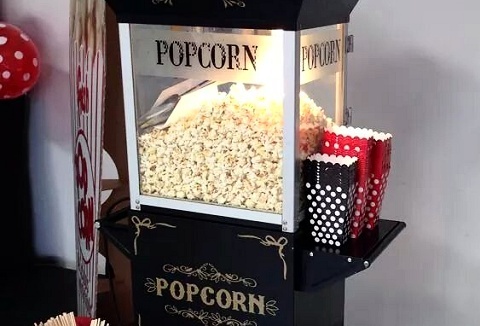 We cater for all occasions, parties, events, schools, fetes, fun days and offer traditional fun food packages, candy carts, popcorn, candy floss, slush machines, pick and mix stands and more. All year round hire for all types of indoor & outdoor events. We are a family run business offering you a range of lovely traditional sweet cart's available to hire for your event. 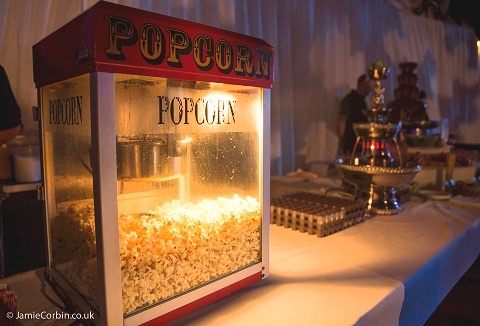 Why not 'wow' your guests with attendants making freshly made popcorn and candy floss or chocolate fountain. Various packages available.